You are here: Home » Is this the World’s Best Invention. Ever? Is this the World’s Best Invention. Ever? … BUT…. 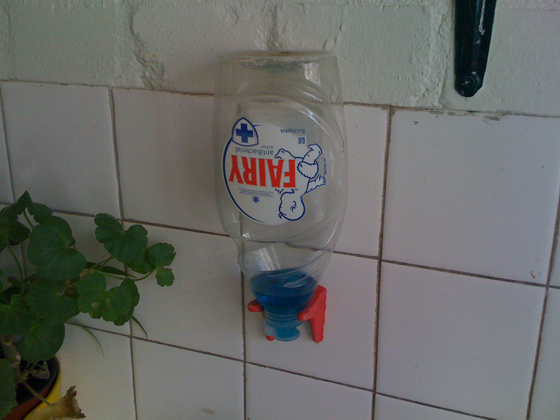 this is a seriously cool thing: Sugru. Sugru is imaginatively referred to on the company’s site as a “hack”, but an old school one. Nothing technical, just a very usable substance that looks like play-do that becomes hard and can be used to fix stuff. Here is the founder’s video, where she talks us through a “Sugru Hack Day” where she makes the valid point that we are natural hackers who have just gotten out of the habit. And some photos of some uses, many of which prolong the life of things we may otherwise have thrown away. In that sense, this is also one of the most ecologically clever inventions ever. Jane from Ireland, I really hope you make a lot of money. Forget Sugru! What about her accent? It’s charming. Agreed. Buy it just for that!